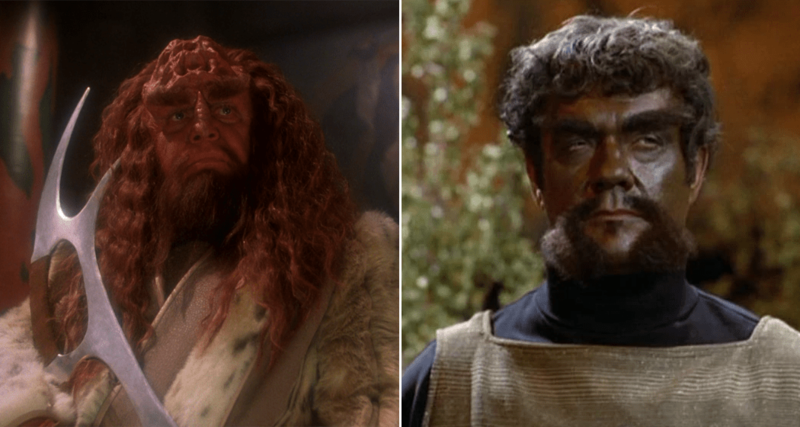 One of the most iconic and recognized alien races created for Star Trek, the Klingons would go through many transformations, both culturally and personality wise before becoming the race so many admired and respected in the TNG Era. Though it’s unknown if a Klingon Bible exists it is believed by most Klingons that Kortar and his mate slew the gods that had created them and started the Klingon Race in a place called Qui’Tu, loosely translated to the Garden of Eden in human terms. Sometime around the 9th Century AD, a tyrannical dictator sent an army to confront the Klingon Messiah Kahless the Unforgettable and huge battle was fought in the Great Hall of the Klingon Empire. Kahless and his mate the Lady Lukara won the battle and shortly after began the greatest romance ever recorded in Klingon lore. In fact, so great was the influence of this romance that every subsequent marriage would be based upon it. Kahless killed Molar in single combat at the river Skral using the first Bat’leth he himself had fashioned. 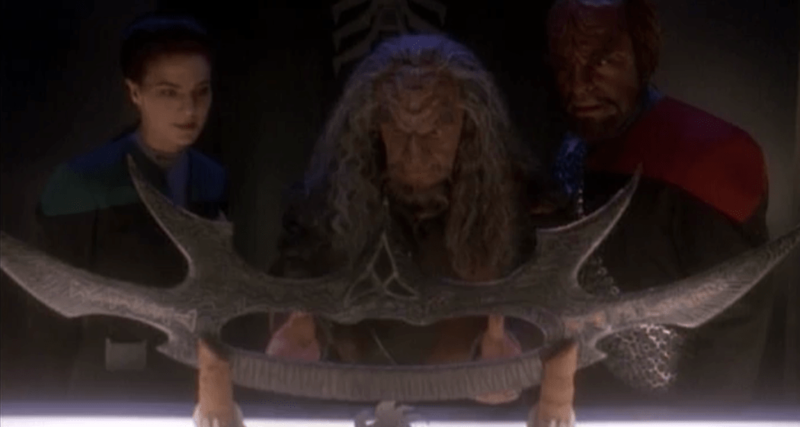 A Bat’leth which would become knowns as the sword of Kahless. After Molars defeat, his temples were either abandoned or built over… But Molar’s followers would continue to exist well into the 23rd century, has become a small religion by the period. And because of Molars defeat, Kahless and Lukara would rule the Klingon Empire as it’s first emperors. Even engaging and winning a war against the Fek’Ihri. Kahless, though a mere commoner was loved by his people and considered the measuring stick of the Klingon culture. All actions would be subsequently compared to his. 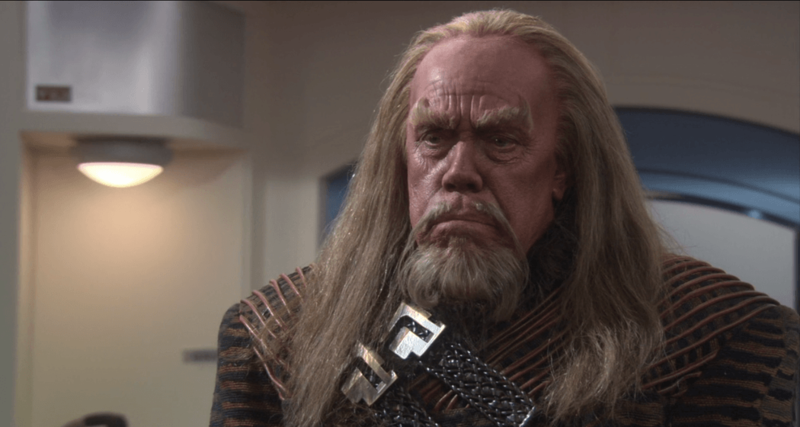 He was a powerful ruler, but also a wise one creating and establishing the basis for the Klingon Code of Honor which is still practiced into the 24th Century. Kahless would unite the great Houses of Qo’noS and then after a long reign, spoke to his people, pointed at a star and said he was off to Sto’vo’kor. The Star he pointed at would later become Boreth, a very important Klingon Religious Colony. Around the 14th Century, the Klingon Empire was invaded by an Enemy known as the Hor’q. And although they didn’t remain on the planet long they DID steal The Sword of Kahless along with many other culturally significant artefacts from the Klingon Empire. At one point, during the second dynasty, Emperor Reclaw and all the members of the imperial family were put to death. During the next decade, the Klingon Empire was ruled by a democratically elected government that produced several notable reforms. But soon the Empire would revert back to its imperial system and a new dynasty, the 3rd dynasty was put in place where the titles and names of the original imperial family were given to a new group of Klingons to give the illusion on an unbroken succession. Sometime after 1947, the Klingons achieved warp drive and by the year 2152 most Klingon Vessels were capable of a maximum speed of warp factor 6. 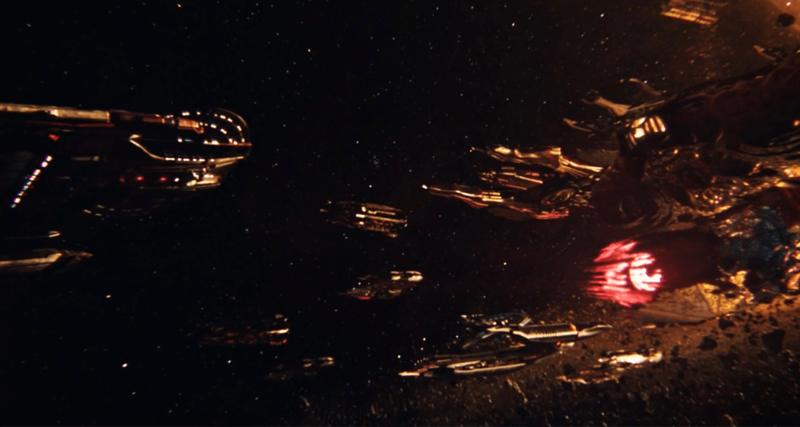 In the year 2016, the Vulcan Species made first contact with the Klingon Empire, having crossed into Klingon Space near H’atoria, the Klingons immediately destroyed the ship. The Vulcans, not wanting to make the same mistake twice, would from then on immediately fire upon any Klingon vessel the encountered until formal diplomatic relations were established. 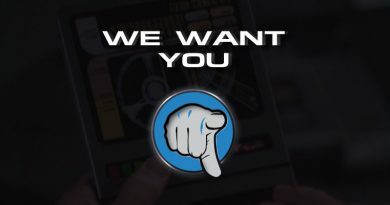 This became known as the Vulcan Hello in the TOS era of Star Trek. basically, violence is a language in which the Klingons understood and respected. By the mid 21st Century the last of the Klingon Emperors died and the Klingon Government switched to Chancellorship that ruled with a Klingon High Council. By the 22nd century, the Klingon Empire had become a major power in the Alpha Quadrant. 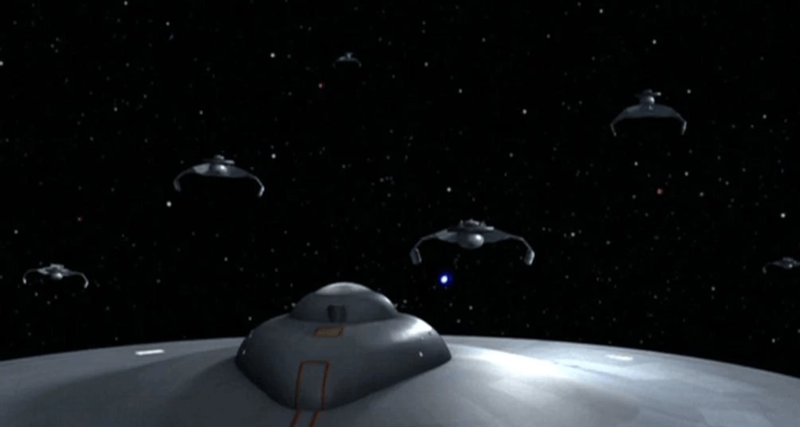 Having created the Klingon Imperial Fleet to oversee their own Territory and protect it from outsiders. In 2133, while searching for new territory to conquer, a Klingon ship ventured into the Delphic Expanse. When the ship re-emerged from the anomaly, the Entire crew had been anatomically inverted yet still alive, shortly thereafter the Klingon High Council forbade any and all ships from entering the Expanse. In the early 2150s, the Klingon Empire was on the verge of civil war. But when a single Klingon crashed his ship in Broken bow Indiana, and the first human starship, the Enterprise, returned that Klingon home unharmed, the civil war was averted. This civil war had been engineered by a faction in the Suliban Hierarchy called the Kobal. 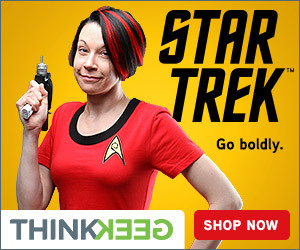 And encoded in the DNA of that Klingon Warrior was proof of the plans to destabilize the Empire. This first contact with humans though would establish a pattern of misunderstandings between the 2 races. The Klingon Empire would see humanity, and later the Federation, as a threat to its cultural identity. Seeing one race after another becoming a part of the stellar alliance an becoming, in their opinion, diluted to believe in human-centric values. In 2154, the Human crisis would come to a head when it was discovered that humanity had created augments. 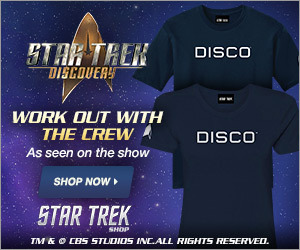 Genetically Engineered, superior humans that could out strength and outwit a Klingon crew quite easily. This would then lead to the Empire experimenting itself with augmenting Klingon Officers, an experiment which would have lasting consequences for the Empire. Very quickly, the Klingon’s inferior medical sciences division would accidentally create a virus that would infect a large number of Klingons in the empire. Instead of creating augmented Klingons, the disease would, in fact, create Klingons which appeared and acted more like a human being. Instead for turning these human-Klingon hybrids away though, or exterminating them, the Klingon Empire would embrace them and use them to their advantage against humanity itself. Shortly after this incident, the Klingon Empire went into a century-long period of isolation, having very few encounters with humanity let alone any alpha quadrant species outside of their territory. Around 2245 the Klingons began to appear a bit more frequently. Relations had by this point deteriorated to the point where both the Federation and The Empire were in a constant state of unremitting hostility leading to the inconclusive battle of Donatu V and the Klingon terror raid of Doctari Alpha.